We all are aware of the ill-effects of divorce on the kids of the divorcing parents. These start out as stress or anxiety, and usually amount to depression later in life. There are thousands of kids who go through this.While the tougher ones generally emerge out of it strong, this processhaunts the vulnerable ones all throughout their lives.As parents, one needs to put in work regarding helping your child pull through a bad phase.Having said that, couples need not totally give up on the idea of having a divorce when there is no other way out. Instead, couples need to think as parents too and look for the best way of opening up to kids about divorce that is inevitable. After having a divorce, practically speaking,both the parents cannot meet the child regularly. With this behavior, the kid may start thinking that they hold no importance in their parents’ lives, or they may start to blame themselves for the separation of their parents. So, when you are breaking the news to them, and soon after you do, both of you need to put in their best foot forward in terms of behavior and affection to make your child feel valued. If not, you may have to put in great work later on in dealing with emotional problems in kids during a divorce. 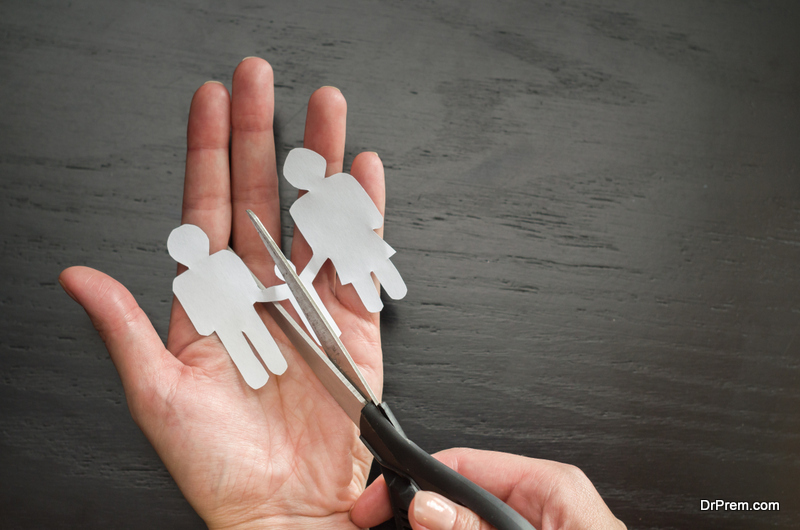 Right after the divorce, one parent gains custody over the kids and one doesn’t. In such cases, it is the duty of the parent who doesn’t live with the kid to go meet them once in a week or a fortnight, or as decided by law. In such situations, you can even resort to friends and family who are ready for helping kids deal with a divorce between parentsby setting meetups in your absence. But sometimes, when a meetup is not possible, make sure the parent living with the kid has a backup plan up their sleeve. It is better to not disclose reasons to the kid why their parent couldn’t meet them. The underlying intention here must be to avoid any rifts or frictions between the said parent and the kids even if they cannot meet up. Even after your kid knows that both their parents are fighting for a legal custody over them after the divorce, and they may even be quite okay with it, make it a point to communicate with them regularly. Your kid may not show it, but no child is free of an inner turmoil, especially in cases like these. Opening up to kids about divorce in the most practical and gentle way possible will ease this situation to a considerably large extent. Try to communicate with your child calmly. If not, ask them to write their heart out. Writing works like a therapeutic magic in relieving stress and helping your child pull through a bad phase. Be willing to go out of your way and put inextra efforts in making them feel safe and comfortable even after you and your partner have split up. This is, perhaps, the least spoken-about issue in most divorces, and is the most crucial one when it comes to helping kids deal with a divorce between parents. True that, as a couple, one is already undergoing enough stress with the divorce and the causes that led to it. Add to them the financial expenses, fight for the legal custody of the kids, and the emotional turmoil of starting a life all over again without your significant other. However, the least you can do is prevent these emotions from seeping out into your kids’ lives. We, as parents, need to work onopening up to kids about divorce in a better way than it is usually done. Parents want the best life for their kids even after they are not a couple anymore. However, the reaction of your kids to this news may be unpredictable. And you have no control over it. But what you can control ishow you break it to them to soften the impact on their sensitive minds. 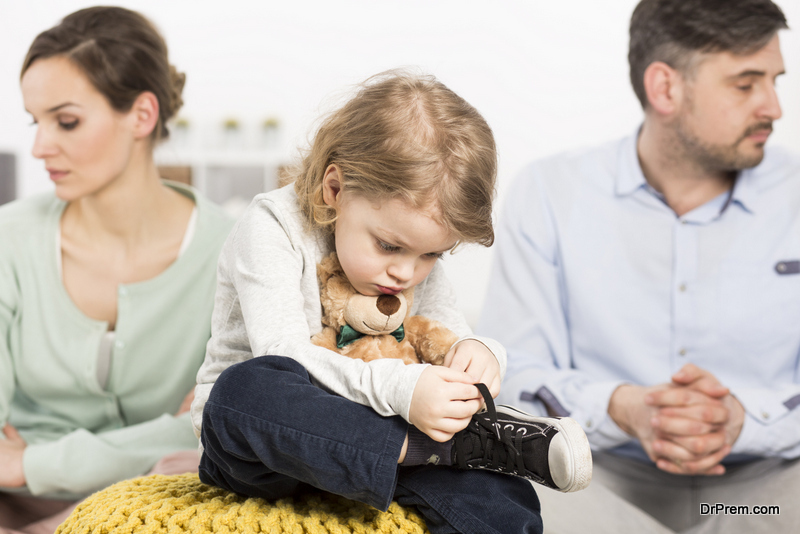 Dealing with emotional problems in kids during a divorcewill come to you as you go through the process.Using the above-mentioned tactics will ensure that it reduces the blow on their fragile minds, and gives them enough time and love to come to terms with the fact of the divorce.